With the warmer months of Spring and Summer slowly fading as we head into Autumn (well, those of us in the Southern hemisphere!) I'm starting to crave richer, deeper lip colours to suit the coming colder months. As you can probably tell, I do tend to stick to pink shades, and it's lip tints that make up the majority of my faves. For day to day makeup I do like lip tints as they feel comfortable on the lips, take no time to apply, and suits my more natural and minimal makeup. I like both Etude tints on their own, and they work great used together for cute gradient lips, so they're both a staple in my handbag. When you find something that works for you, you stick with it right? Lol. I guess I just need to keep searching for the right shades! Do you have any Spring/Summer lip faves lovelies? I'm a big Benetint fan too! Not a fan of the price tag, so I am looking at the Etude House tints--so much more affordable! I'm the opposite- I stay away from shocking pink shades haha! 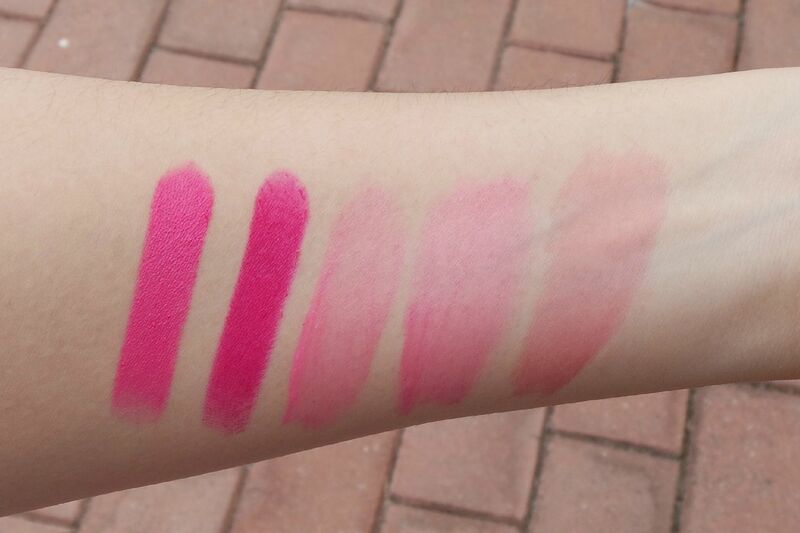 Lovely swatches, I also have the cherry tints, however I don't like them much at all. Glad they are working for you! At the moment my go to gloss is nature republics Eco gloss. Smells great and is super moisturising with some sheer colour. And so cheap! Beautiful! I love wearing pink lipsticks. I've been wanting a lip tint for ages! I just use my hot pink lippies to do the gradient but I'd like a lip tint too. Love how shocking pink those lipsticks are! I just discovered your website and am totally thrilled. would be happy with me when you look vorrbei times.